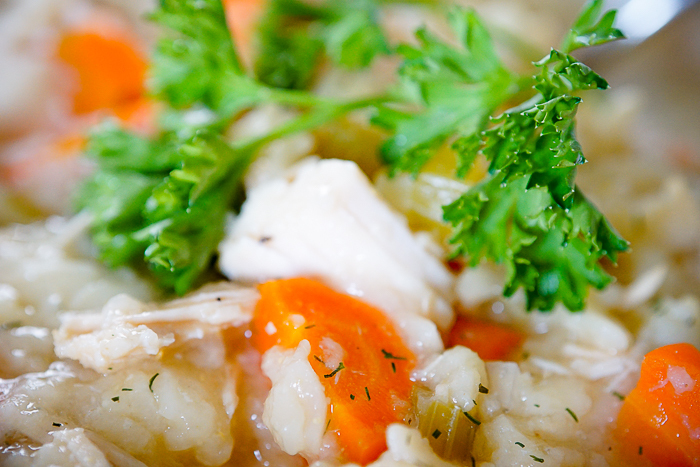 A light, citrus soup recipe inspired by Panera’s Lemon Chicken Orzo Soup! Happy National Soup Day, Nerds!! I hope you are having a somewhat mild winter day like we are here in Chicago. It’s not warm, but it’s definitely nicer than the bitter, below zero temperatures that we usually have this time of year. 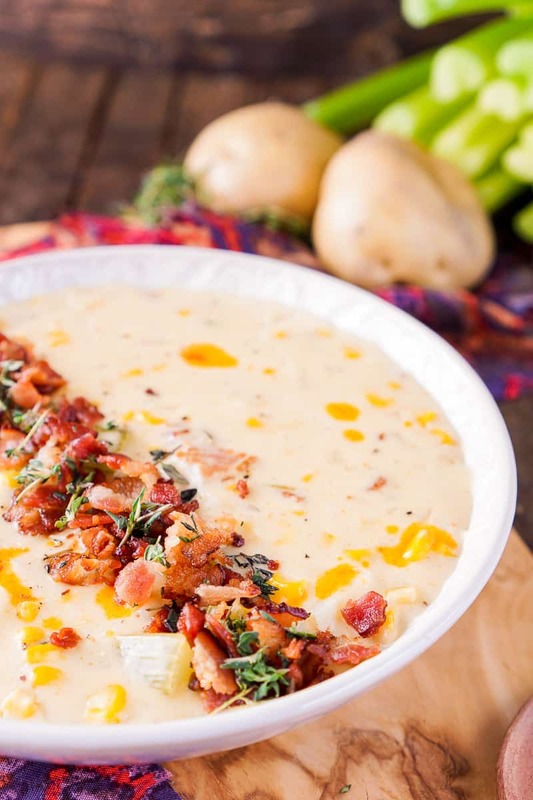 So when I was deciding which soup to share with you all today for National Soup Day, I decided I wanted to go with a lighter soup recipe. 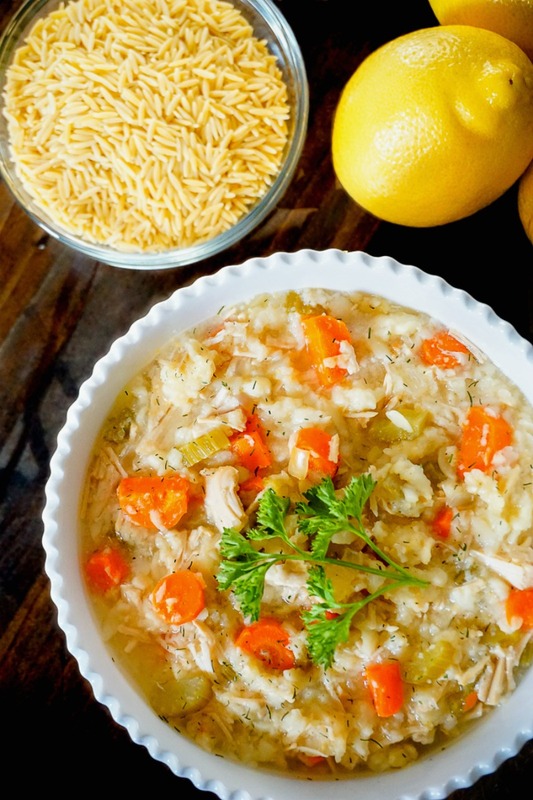 Enter my Slow Cooker Lemon Chicken Orzo Soup. Back in the day, Panera used to make a Lemon Chicken Orzo soup that I loved, so this is my copycat version. Now, of course, this is based on my memory from years ago so be fair if you were also a fan of the old Panera version. 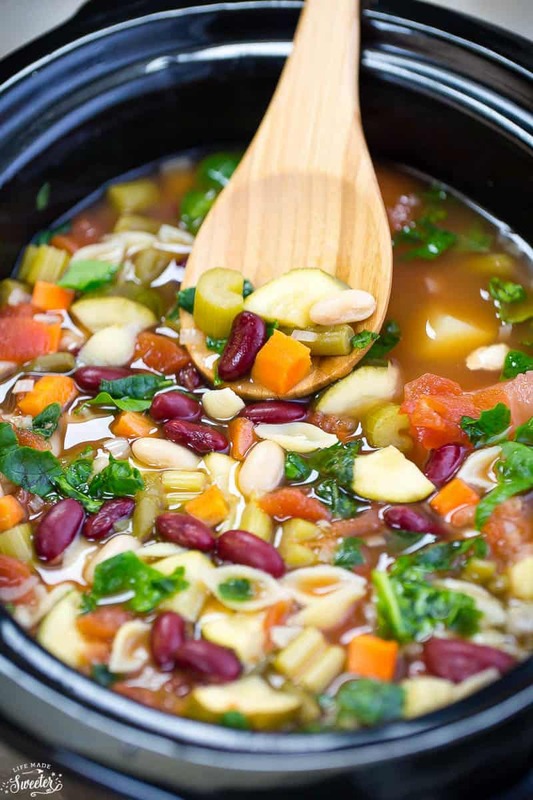 Either way – I love how light this soup is compared to the thicker, heartier soups I’ve made more of lately. 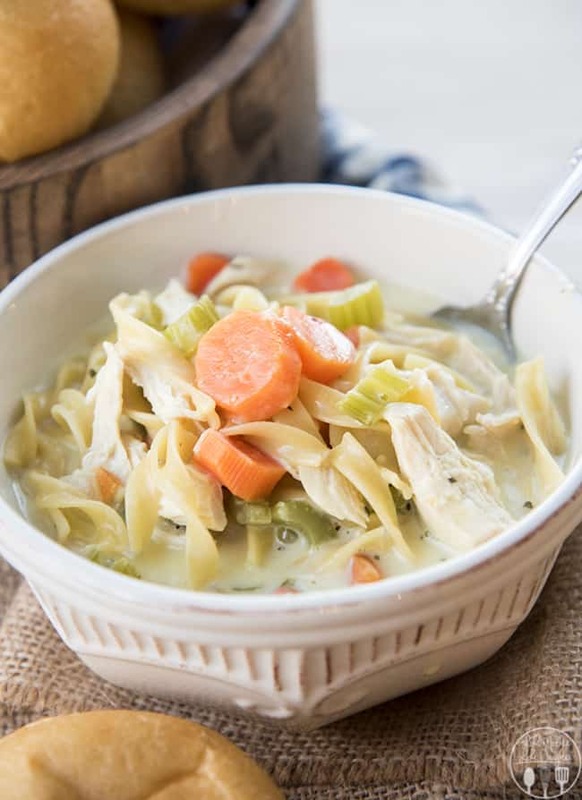 They have their place as amazing comfort food, but this Lemon Chicken Orzo Soup will transition perfectly into spring. 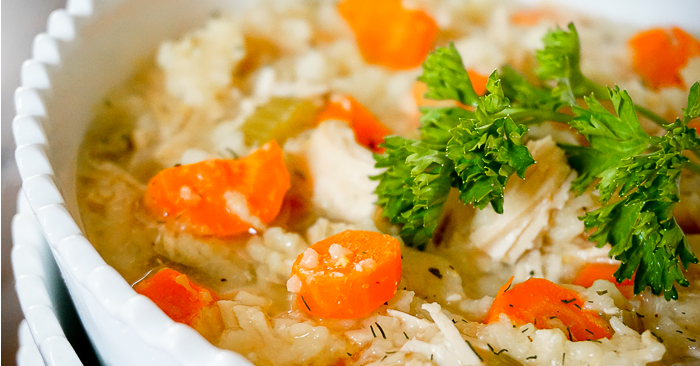 In a slow cooker place chicken breast, garlic, black pepper, parsley, dill, lemon zest, onion, carrots and chicken broth. 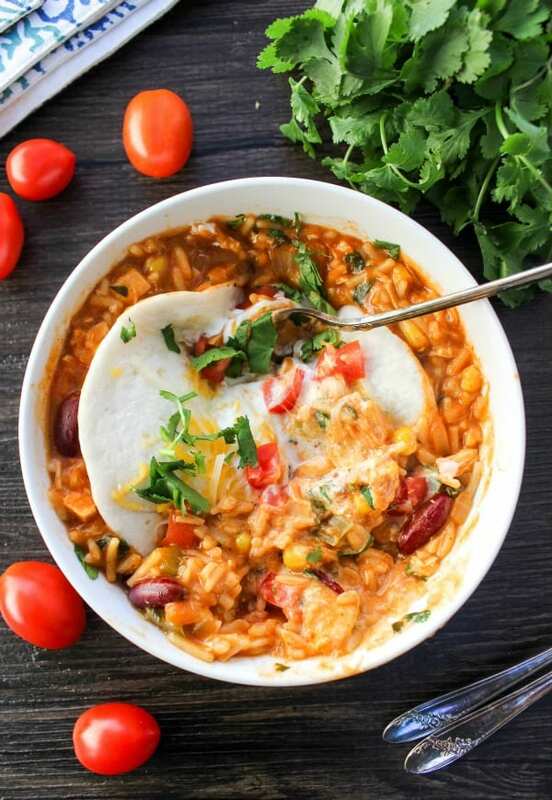 Add orzo pasta and cook for one additional hour (on high). 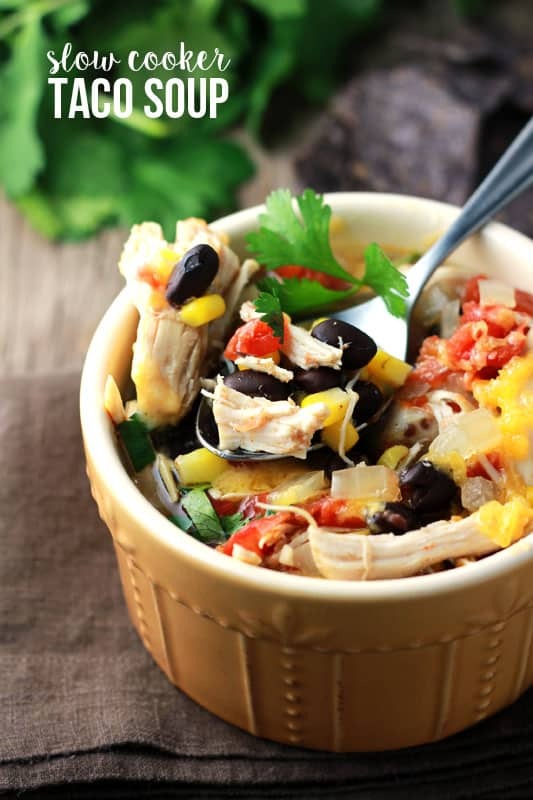 Remove chicken breast from slow cooker and shred or cube. 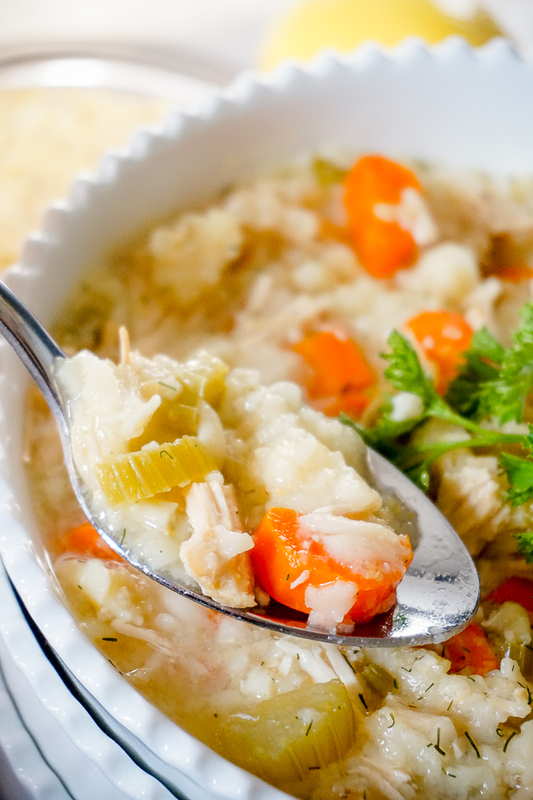 Place the chicken back in the slow cooker, add in lemon juice, celery, and salt to taste. Stir and let cook on high for 1 more hour. 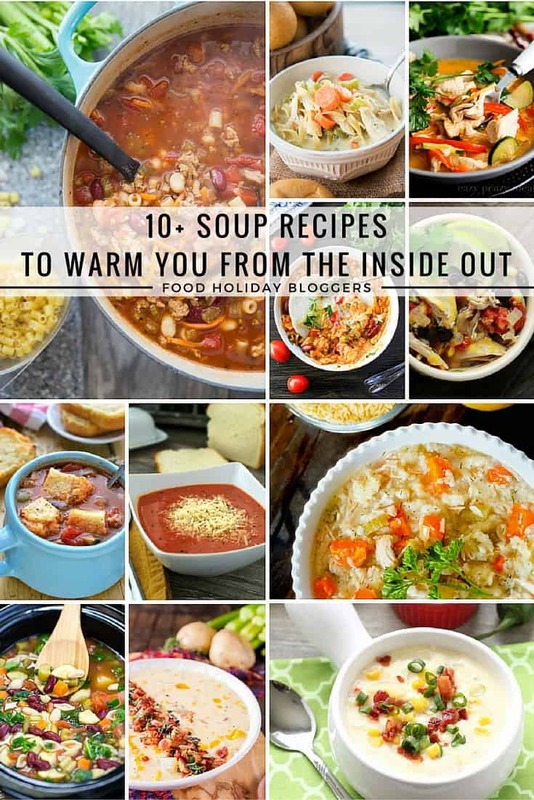 Now, because I love trying new soup recipes and think you do, too, I have connected with friends to bring you even more ideas for National Soup Day! 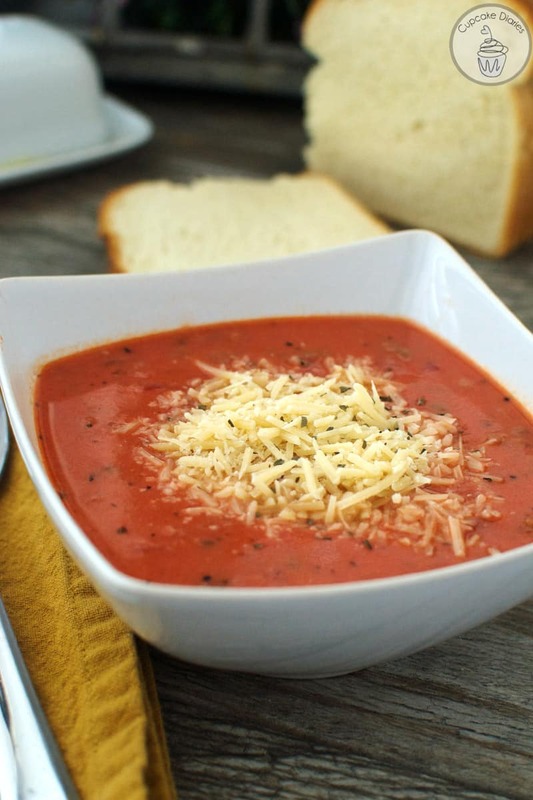 Head to the end of the post for more soup ideas! mmm. . . 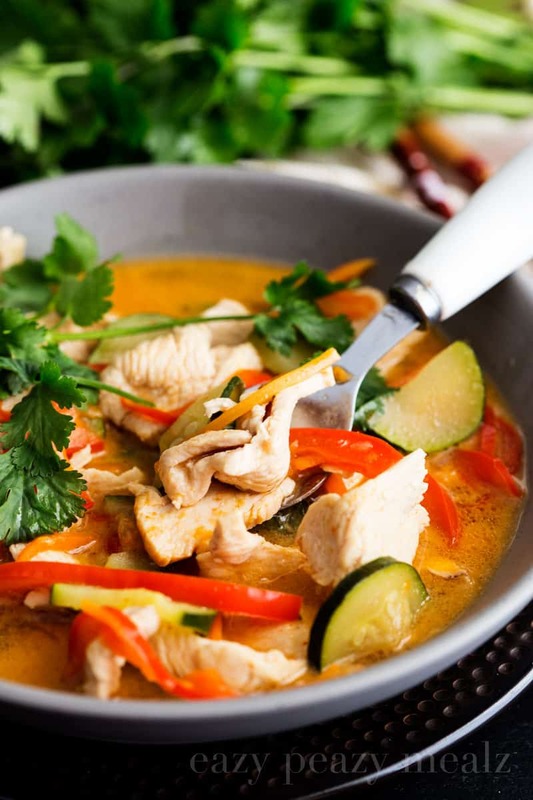 This soup looks good. Think I’ll give it a try. Thanks for sharing. 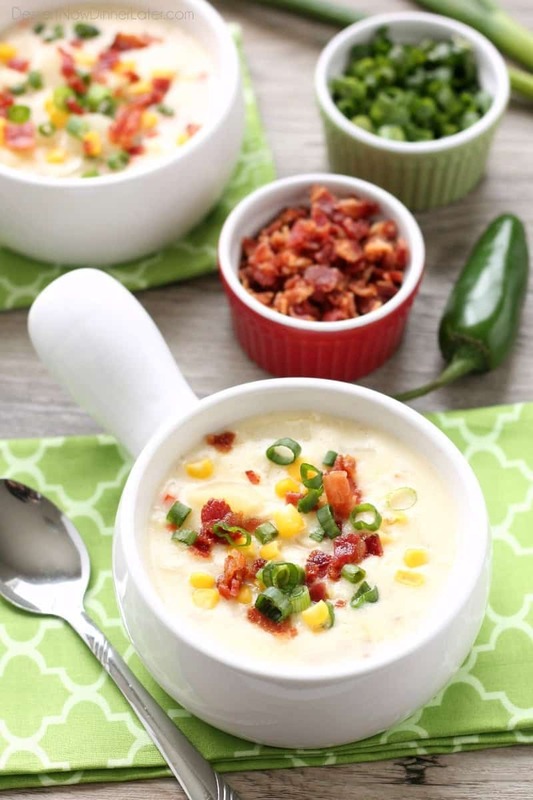 The lemon in this makes me hope spring is right around the corner, but until then, I’ll have to try this soup! This looks delicious! I love that its made in the slow cooker! Um, I love everything lemon – so you’re speaking to my heart girl! 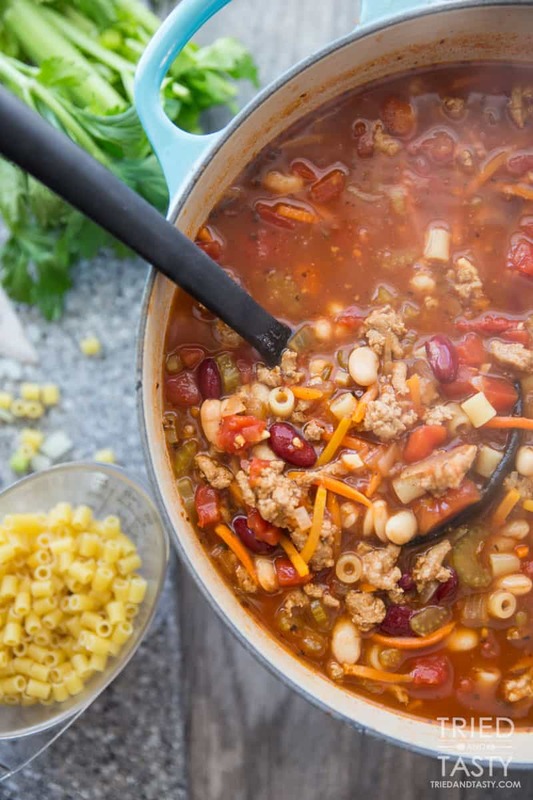 This soup looks all sorts of warm and comforting. 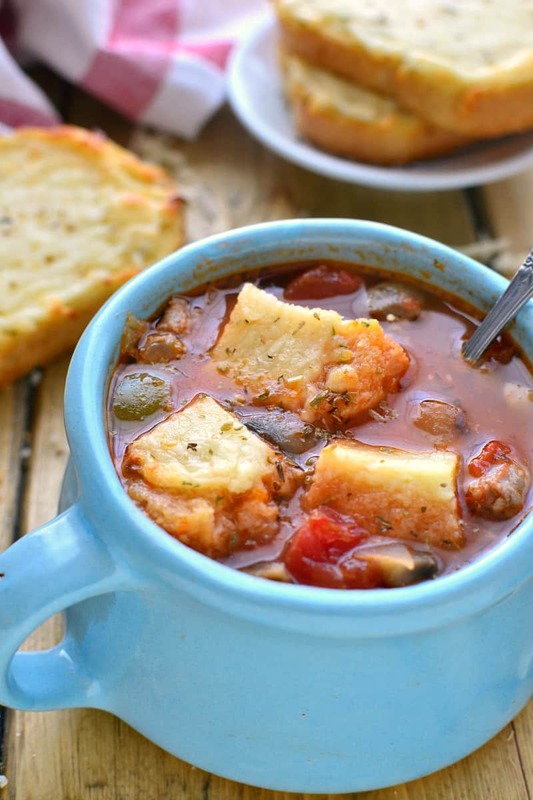 What a great addition to the list – thanks for a great recipe!